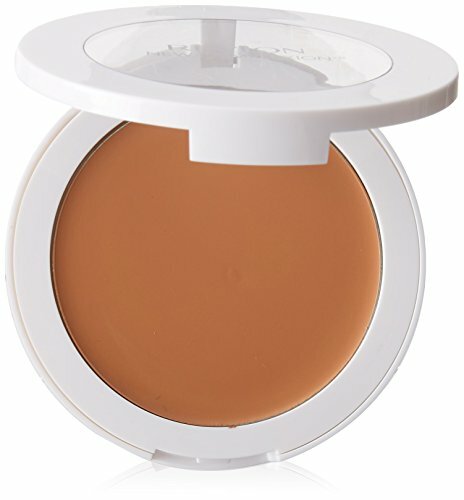 The Revlon New Complexion One-Step Compact Makeup glides on creamy smooth, and finishes powder light. This 2-in-1 cream to powder formula gives you a completely undetectable, perfectly smooth and even-toned skin that breathes and looks fabulous. Specially formulated to be weightless to help you have that naturally flawless look. This formula was developed to be oil-free, non-pore clogging, and irritant-free. The coverage, and your look, are flawless. Available in 8 shades. Revlon is a global leader in cosmetics, hair color, fragrances, skincare, and beauty care products. One of the strongest consumer brand franchises in the world, Revlon’s products are sold in over 100 countries across six continents. Revlon revitalized the industry over the years with iconic nail and lip colors and with breakthrough technology like ColorStay transfer-resistant lipstick and makeup.